This is the season of award shows—the Grammys, Oscars, Tonys. Some celebrities manage to make their award acceptance speeches sound both spontaneous and smooth, while others clearly struggle with unscripted public speaking. While you may not be up for an Oscar, you may be nominated for an award at some point in your career and be called upon to make your very own acceptance speech or give a talk to your company. 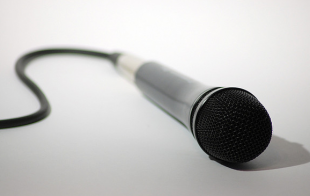 This is the time to tackle your reservations (or downright fears) about public speaking! Overall, your ability to speak and present effectively comes down to practice. You need to know your stuff. Take some time to familiarize yourself with what makes an effective presentation and then go out and execute. And, remember, be confident in your message and ability. This post is the fifth in our “Learn a New Skill in 2014” series. Stay tuned to our blog or sign-up to receive a weekly digest of the posts. Digest emails will be sent out each Friday.